If you like to juice lots of different fruits and vegetables then the Breville BJE510XL Juice Fountain Multi-Speed 900 Watt Juicer with its 5 speeds would be ideal for you. The Breville BJE510XL Juice Fountain is yet another hit product from a company that knows all about juicers and owns many juicer technology patents. The Breville BJE510XL’s unique feature is its variable (5-speed) 900 watt motor with built-in electronic smart-chip that intelligently adjusts the power depending on what type of fruit or vegetable it is processing (i.e. hard or soft). Couple this with the juicer’s direct central feed system and you are ensured maximum yield of juice no matter what you’re juicing. 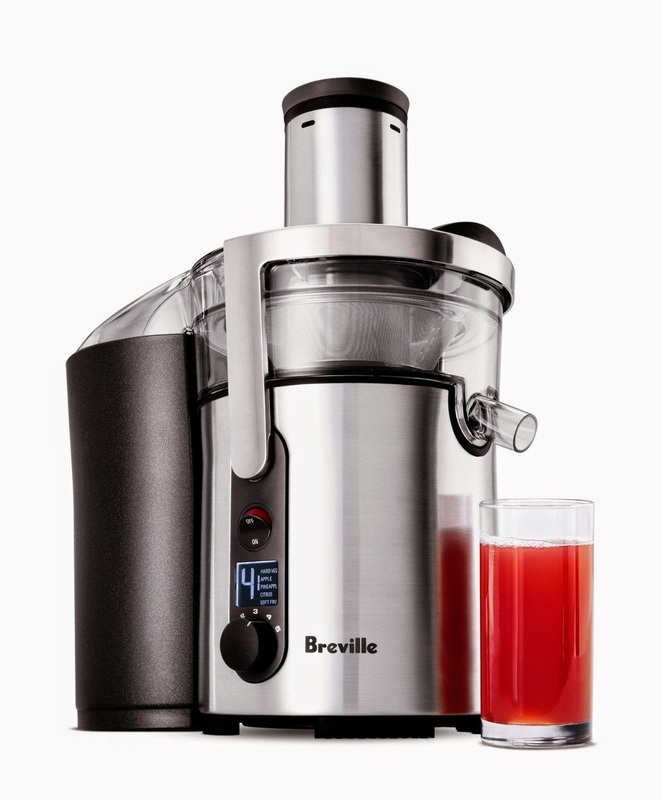 The Breville BJE510XL Juicer can produce an 8-ounce glass of juice in as little as around just 5 seconds. That’s super fast! The centered 3 inch wide circular feed tube allows small to medium sized whole fruit and veg to be processed without the need for cutting the fruit/veg beforehand. 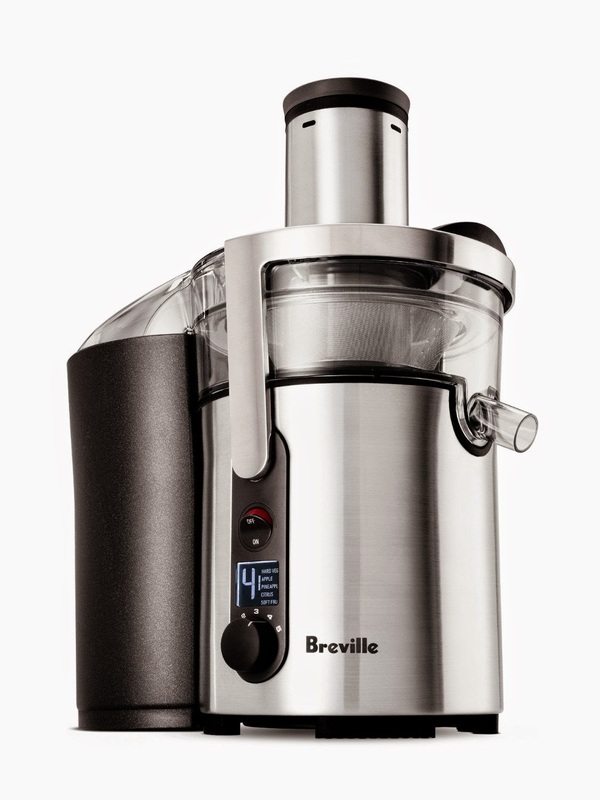 The Breville BJE510XL Juice Fountain is housed in a stainless-steel casing and is built with quality components, including a backlit control panel for ease of use, a 1.2 liter juice jug and froth separator, a detachable spout, a Nutri Disc with titanium reinforced cutting blades, a stainless steel mesh filter, a large capacity pulp container, a safety locking arm, and overload protection. Breville’s Nutri-Disc juicing system extracts more nutrients than many other juicers and transfers less than 1.8F of heat to protect enzymes and maximize select nutrient absorption. N.B. It's advisable to consult your doctor or health care professional if you have any concerns regarding your health or nutritional intake.